Found! Crocky ran across a carton of his first Midget Annual which he believed was sold out. We are honored to be selling these pictorials for Crocky. 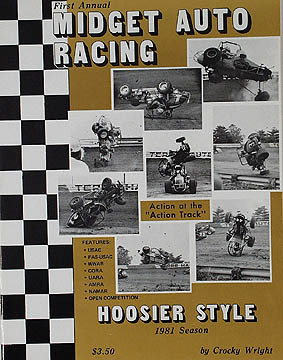 This edition covers USAC, FAS-USAC, WWAR, CORA, UARA, AMRA, NAMAR. When think of midget racing only Crocky keeps the best records. He is the historian for midget racing.